The Lesvos Bird Records Committee (LBRC) was established by the Hellenic Rarities Committee in its February 2nd, 2009 session. The aim of the LBRC is to encourage visiting birders to submit their records, in particular to provide addiitonal details of national Greek rarities, local Lesvos rarities and breeding records of the scarcer breeding species. Please use the links on the left hand side to navigate the site. This report contains records for 2013 and previous years recently considered by the Lesvos Bird Records Committee (LBRC). The report contains records for a new species for Lesvos - Red-crested Pochard Netta rufina and one new subspecies, Steppe Buzzard Buteo buteo vulpinus. 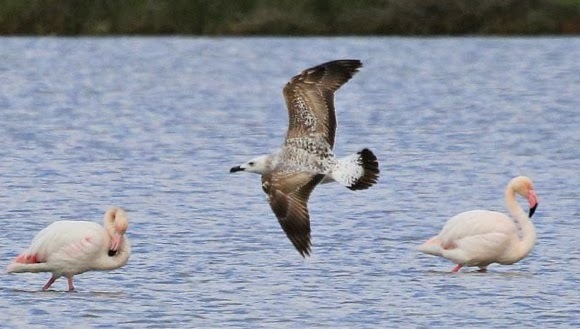 It also contains details of only the second record of Caspian Gull Larus cachinnans. The value of supporting evidence such as photographs cannot be understated. 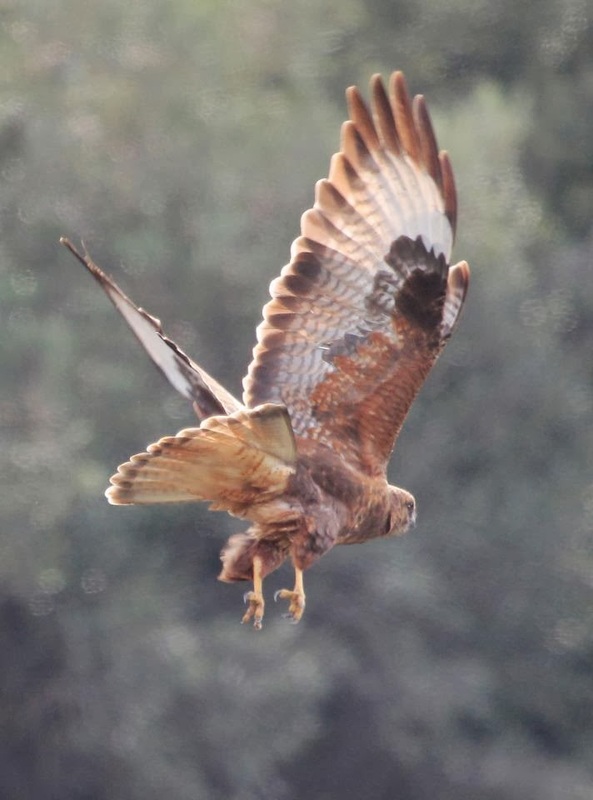 Six of the accepted records (Steppe Buzzards, Eastern Imperial Eagle and Caspian Gull) contained in this report were identified by others from photos posted online and another (Red-crested Pochard) from a photo shown to a Committee member. In addition, we were able to ascertain that two Griffon Vultures were present in spring 2013, but only from photos posted by observers online. For some species (e.g. Moustached Warbler) photos are vital to determine identification and from 2014 only records with supporting evidence (photos or sound recordings) will be considered for some species. The Lesvos Bird Records Committee (LBRC) has accepted the following records (not proven and pended records are at the bottom of the report). Unless otherwise stated, all records refer to 2013. Where total number of records are maintained for a species, this is given up to and including the records published here. 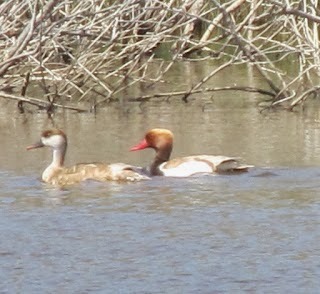 Pair Tsiknias River 25 Apr (P & V Manning, C & L Williams). This is the first confirmed record for Lesvos, identified by resident birder Eleni Galinou from a photograph taken by a local resident. A sub-adult Mesa 13 Jan (photo: F Psarros, E Kakalis). This is only the sixth record for Lesvos. 2004 1 Ipsilou 1 May (S Bot). Massetti) but without a photo it is not possible to say which of the two birds it was. 1 Tsichliota Bay (Meladia Valley) 7 Sep (photo: C Zografou, O Alexandrou). 1 Molivos 8 Jan (photo: P Tsakmakis, S P Dudley, S Wytema). 1 Dipi Larisos 13 Jan (photo: P Tsakmakis, S P Dudley, S Wytema). 1 Dipi Larisos 28 Jan (photo: P Tsakmakis, S P Dudley, S Wytema). 2012 1 nr Kedro 17 – 21 Nov (photo: P Tsakmakis, S P Dudley, S Wytema). These four birds are the first confirmed records for Lesvos. 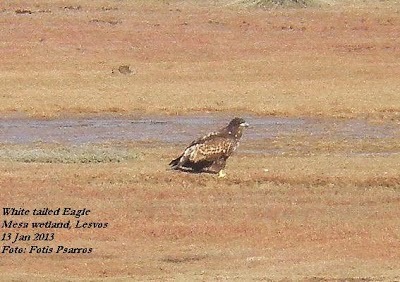 Eight birds seen in the 2012/13 winter were tentatively identified as vulpinus from photos posted on the Lesvos Birders Facebook Group. A detailed article reviewing the assessment of all eight records appears in Lesvos Birds 2013. More records are currently being considered by the LBRC. 1998 1 between Eressos and Antissa 23 Dec (E Lam). 2006 2 Kalloni Saltpans 21 Oct (P Boone). 2001 3 Alykes Wetlands 1 May (H Sieben). 1 Faneromeni 2 – 8 May (photo: D Copewell et al). 1 Farmakies Marsh 3 May (photo: A & P Thompson). 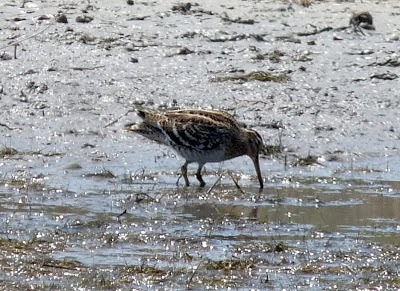 1 Kalami Marsh 9 – 14 May (photo: J Gronning, R Edvardsen, A & P Stromski). 2001 1 Tsiknias River 4 May (photo: D Ferguson). 1 Sigri inlet 8 Aug (photo: W Heylen). 2 Kalloni Saltpans 28 Sep (T Swann et al). 2CY Alikoudi Pool 17 Mar (photo: P Tsakmakis). This is the second record for Lesvos. One other record from 2013 is under consideration by LBRC. 1 nr Kalloni Saltpans 7 Dec (L Katerinopoulos). 2001 1 Kalloni Saltpans 25 Oct (H Buckx). 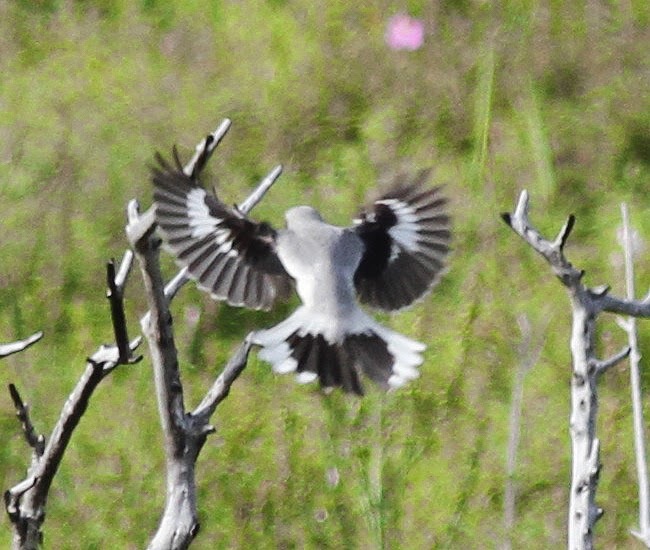 2011 1 excubitor x homeyeri integrade nr Vouvaris River mouth 3 May (photo: S P Dudley, I Ford, K Mullarney, C Townend et al) (Lesvos Birds 2011). This image shows the high homeyeri influence with the extensive white wing markings, white tail base and sides. 1 Meladia Valley 26 Apr (F Brierley, A Hill). 1 Kalloni Saltpans 2 May (B Buckler, P & V Manning et al). 2006 1 Kalloni Saltpans 10 May (P Boone). 1 Almyropotamos River (Lisvorio) 28 Mar (J Bowers, W Kappes). This record was narrowly accepted reflecting the difficulty in assessing records of this species, especially when the bird in question is both out of the expected season of occurrence and in an unexpected location. The Committee will now only consider any future records of this species outside the expected winter period (Nov – Feb) and away from Dipi Larisos (the only known wintering site on the island) that are supported by additional evidence (e.g. photo or sound recording). Most birders now have a field camera (DSLR, bridge/super-zoom, digiscope) or smartphone (which can be used for phonescoping and recording bird calls/song without any additional equipment) so the expectation of receiving supporting evidence must be regarded as high. 1998 1 Skala Sikaminias 27 Dec (E Lam). 2001 4 Anaxos 23 Oct (H Buckx). 1998 4 Agiasos 21 Dec (E Lam). 1998 1 Petra 24 Dec (E Lam). 5 Skala Kallonis 5 Oct (R Thorpe et al). 1998 2 Mytilini 29 Dec (E Lam). 1998 2 nr Agiasos 29 Apr (P Cools). – 1 Petra 26 Apr. – 1 Polichnitos 11 Apr. – 1 Sigri 22 Oct.
All these records are included in Lesvos Birds 2013.